All the life jackets we carry are U.S. Coast Guard Approved. In Making Sure Your PFD is Safe, we explain how extensive the testing is to earn that certification. This testing goes a long way toward assuring that any jacket you choose will do its job to keep you safe while you’re on the water. We’re fortunate to have so many jackets to choose from. Whether you’re kayaking on rivers or the ocean, rafting, fishing, canoeing, SUP boarding, sailing or enjoying any other watersport, there’s a life jacket that’s perfect for you. And they’re comfortable! Pick one that fits you well and you can wear it all day, no problem. There’s just no excuse for not wearing one. As we pointed out in Let’s Stop Senseless Loss of Life, all those lame excuses for not wearing yours are just that – lame excuses. It wasn’t always this way. When I started boating back in the mid-70s, the jacket selection was much more limited. Minor confession time – I’m not much of a swimmer. Growing up, we moved once or twice a year as my dad followed construction. Just never did get the practice. I’ve learned a bit since, but I’m still poor at it. After seeing a girl get her "horse collar" Type II vest pulled off over her head as she "maytagged" in a hole and watching a buddy’s big old Type I "Mae West" come undone and up around his ears, I began looking for alternatives. My criteria: a good secure fit, durability and lots of flotation. I looked around but didn’t find it. However, the boating magazines of the day carried ads for Wildwater Designs, a company owned by Charlie Walbridge. 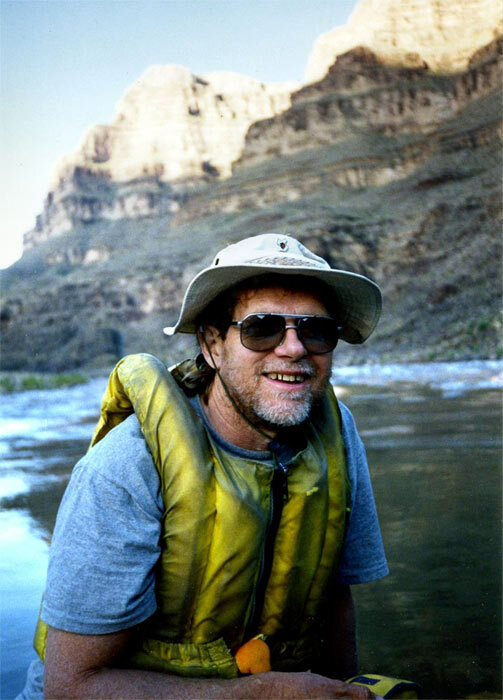 Charlie is an internationally recognized whitewater safety expert, coauthor of the pioneering Whitewater Rescue Manual and one of the original inductees in the Whitewater Hall of Fame. 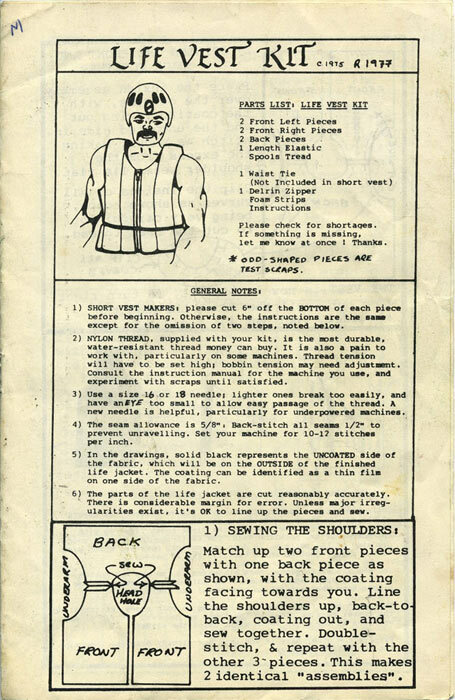 One of the products Charlie carried was the Hi-Float Life Vest Kit. That’s right… I said "Kit". 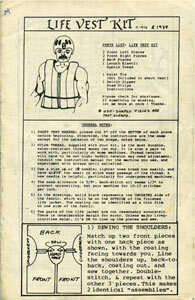 A sew-it-yourself life jacket kit. It contained precut panels of burly nylon fabric, strips of soft buoyant foam, a heavy-duty zipper, nylon thread, and complete instructions. I don’t remember how many pounds of flotation were advertized, but it was well up in the 20s. Charlie later sold the design to Extrasport. 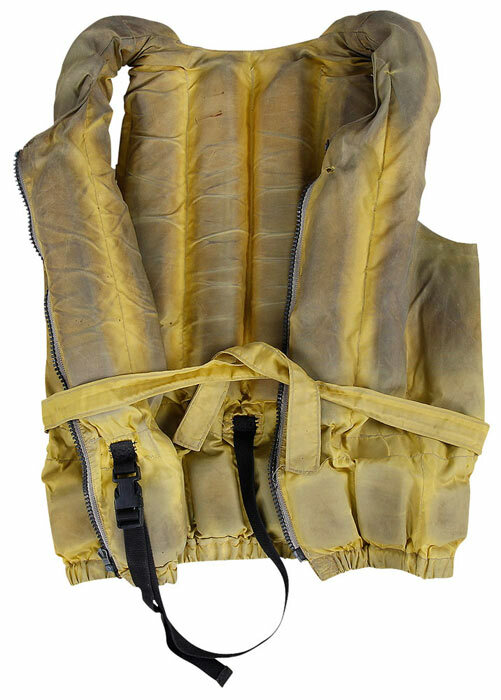 The current Extrasport Swiftwater Ranger Rescue Jacket is a child of the Hi-Float, and it has design flotation of 24-27 pounds, depending on size. I was sold and bought my kit in early 1980. $24.50 – still have the receipt. Now, I didn’t know how to run a sewing machine, but I wanted to sew it myself. Luckily, my wife was an excellent seamstress, and she coached me through the process. End result – a tough, snug-fitting, high-flotation jacket! You could fold up the portion below the waist tie to make it more compact, or wear it down full length. At some point, I added a leg strap, and that made it perfect. That jacket kept me floating high and saved my bacon lots of times, down hundreds and hundreds of river miles. The only reason I quit wearing it was because the zipper finally failed. In 2004, as he often does, Charlie came to NRS to put on a swiftwater rescue clinic for us. I brought out the jacket to show him. When I explained why I’d quit using it, I think he thought I was trying to get it warrantied! Well, today we’re lucky. 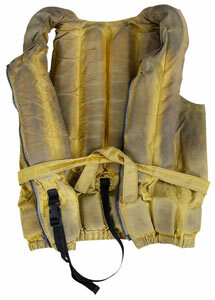 We can buy any number of great-fitting, great-performing, ready-made life jackets right off the rack. They’ll all have the U.S. Coast Guard Approved label inside, and the river ranger won’t look at you like you’re from Mars. I got that look one time at the Grand Canyon. She had a gun, so I showed her one of my spares and they let me get on the water. Then, I stuffed the spare back in the load and put on my Hi-Float. Boat Often, Boat Safe, and don’t let me catch you not wearing your life jacket! Note: Some people have complained that these life vests trap water. If yours does, you can allow for drainage in this way. Get a nail, a candle, and a pair of pliers. Light the candle, grasp the nail with the pliers, and heat it until it is quite hot. Use the nail to punch holes in the bottom of each foam compartment. The heat will seal the edges of the hole. Luckily, I never had to punch holes.